When having your 330-455 heads rebuilt, chances are they are going to need guide work. 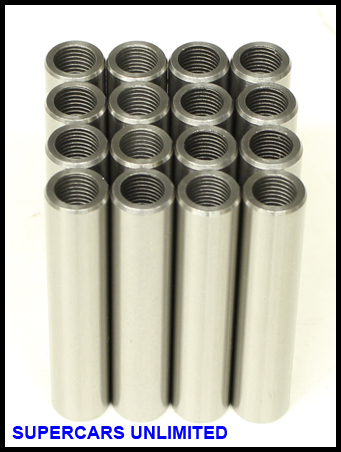 Most machine shops use a basic, universal guide insert for all 11/32" applications. While those generic small block Chevy guides will work in your Olds heads, why not use the correct Olds style guide in your Olds heads? Our guide inserts feature the internal spiral per original design that allows for better guide lubrication resulting in longer guide life and consequently better valve sealing. These premium cast iron guides utilize the standard .502" OD which most machine shops will have the tooling to install them.